D. A. Fisher (1867 -1940) is known for his landscape paintings and lived in Maine and California. 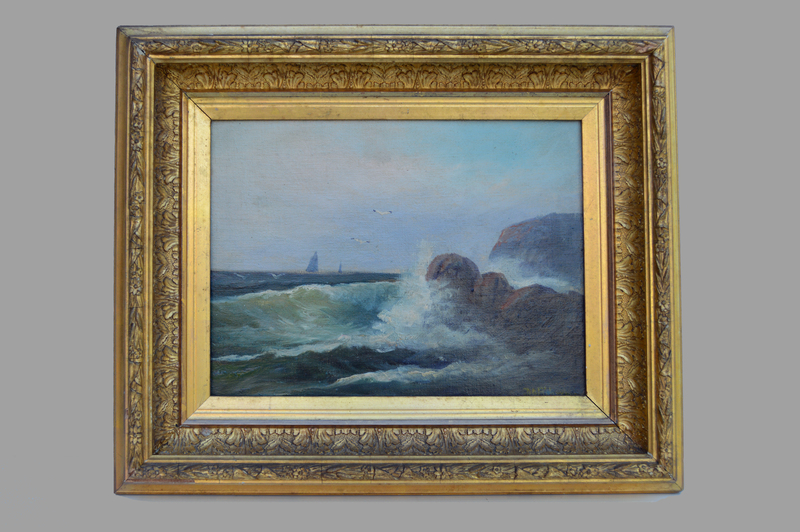 This little painting is in its original gold-gilt frame and is signed “D.A. Fisher” on the lower right. 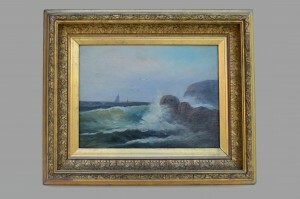 Oil on canvas – 11 1/2 in. X 8 1/2 in.